Since April 2016 insolvency practitioners have not been able to recover either success fees or uplift fees in conditional fee agreements or any adverse costs insurance premium, as insolvency practitioners’ exemption from the Legal Aid, Sentencing and Punishment of Offenders Act 2012 came to an end. Regardless of consideration of uplift fees, when deciding the amount of costs to be awarded in any case the court will have regard to the efforts made by the parties in order to try to resolve the dispute. If no efforts have been made to come to an agreement without going to court then the court may not make an order for costs in favour of the successful party. Insolvency practitioners should of course initiate attempts to negotiate a settlement as matter of course but other options should be considered as well. Alternative dispute resolution such as mediation, managed by a qualified independent mediator, is very inexpensive compared to the cost of legal action and is typically completed in a matter of hours. Insolvency practitioners who do not recover costs because of a failure to consider alternative dispute resolution are highly likely to be viewed as prejudicing the interests of creditors. The consideration and use of alternative dispute resolution techniques such as mediation should therefore be part of the standard procedure of all insolvency practitioners when planning their strategy for legal action. Using mediation to come to an out of court settlement is highly likely to result in reduced costs and to be faster than going to court. Even if court action results it should be easier to recover costs if settlement has previously been attempted using mediation. Some firms of solicitors provide mediation services or independent mediators can alternatively be instructed. Please email Caroline at caroline.clark@rmcsc.co.uk (or call 07854 967976) if you would like more information about mediation and how insolvency practitioners can benefit from it, or if you would like to discuss any other aspect of the insolvency compliance consultancy provided by RMCSC. Former Australian captain James Horwill joined Harlequins for the 2015/16 season from Super XV side Queensland Reds. Having made his Super XV debut in 2006, he left The Reds with over 100 senior appearances and as its longest serving captain. In 2011, the second-row led the franchise to its first professional title, beating the Crusaders in the final. Having represented his country at U21 and ‘A’ level, he made his international Test debut in 2007 against Fiji. In 2011, the 34 year-old was named Wallabies captain and led Australia to a Tri-Nations title and a third place finish in the 2011 Rugby World Cup. Horwill was also captain during the historic 2013 British and Irish Lions Series. 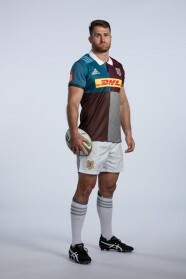 Known for his strong leadership skills, Horwill brings a fierce passion and a relentless work rate to Harlequins and will be a valuable lineout operator.